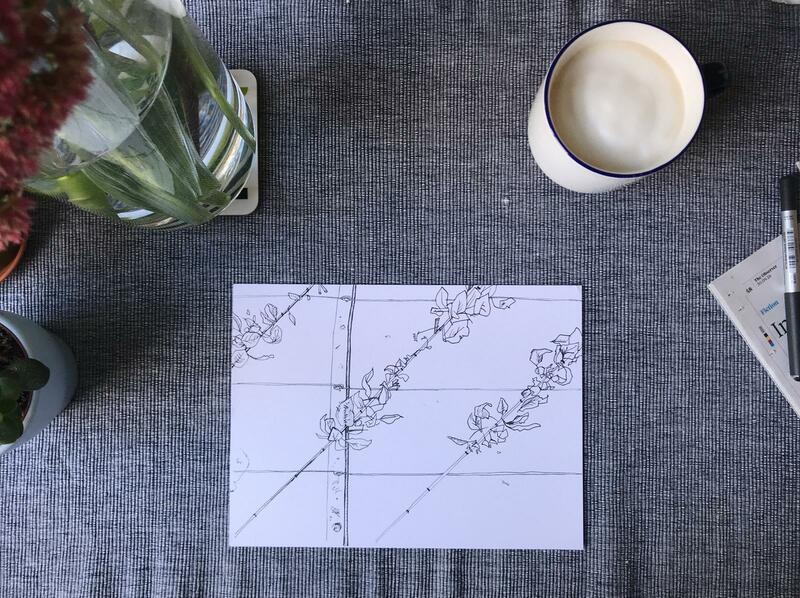 tending to…, my Tinyletter illustrated by Klaussie, uses horticulture as fertile grounds from which to explore growing, cultivating, and tending of all kinds, from actual plants to real life human relationships. Apples grown in an oblique cordon by Klaussie. The first issue explored the roots of my interest in gardening, as well as time, patience, and grief. It becomes a different world — plastic bags wrap around your feet like the limp bodies of jellyfish — and cars sound like waves in a storm. Set amid the market and the din of traffic, this is an unlikely place for a garden farm. I first went to the gardens in April of last year. I was trying to find something to do that might counteract the confusing, disembodying experience of losing a close family member. At the recommendation of a local beekeeper and friend, I took a weekend class at the gardens under the instruction of Tracy and I am now doing a horticulture diploma there. In gardening, I saw a way back to terra firma, back to my own body, and back to others around me. This Tinyletter grew out of that feeling. Subscribe here.